The basic idea behind key-based SSH authentication rely on asymmetric cryptography also know as public key cryptography. This type of cryptographic algorithm require two separate keys. The first key is a secret or private key, and second is a public key. Public key is used to encrypt plaintext, whereas private key is used to decrypt ciphertext. You can learn more about public-key cryptography in this MDN (Mozilla Developer Network) article. Now you will have an option to name your key pair and set password. Number of key(s) added: 1 Now try logging into the machine, with: "ssh 'user@some_host_or_ip'" and check to make sure that only the key(s) you wanted were added. Now try logging into the machine, with: "ssh '[email protected]_host_or_ip'"
If you don’t have ssh-copy-id utility on your system, you can copy content of the public key and add it to the authorized_key by your self. You can now connect to the remote server using a private key you generated, but your system isn’t secure just yet. You need to disable password-based and allow only key-based authentication. You can improve your server security by applying other measures, like changing default port or enabling host-based authentication, but that is not the topic of this article. 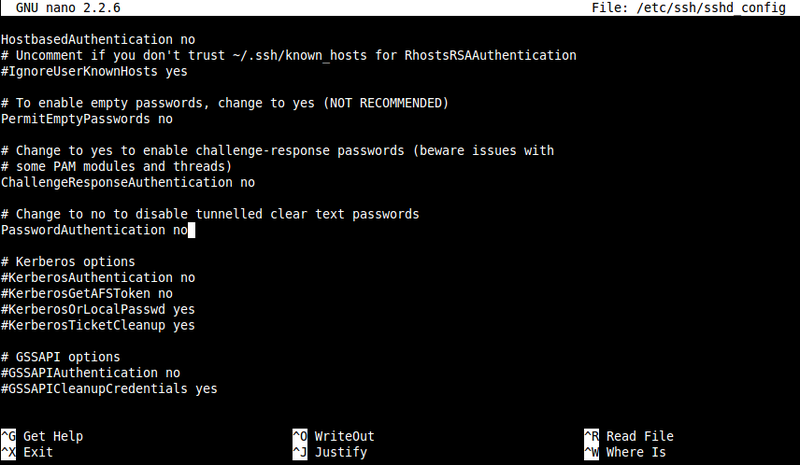 user@secure:~# /etc/init.d/ssh restart [ ok ] Restarting OpenBSD Secure Shell server: sshd. 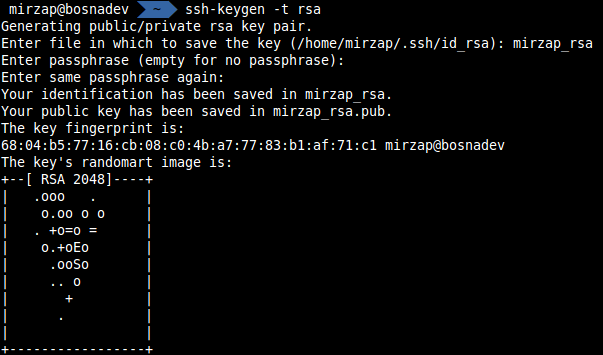 vagrant@homestead:~$ ssh user@some-host Permission denied (publickey).